A Tropical Welcome with The Welcome Bag Committee! 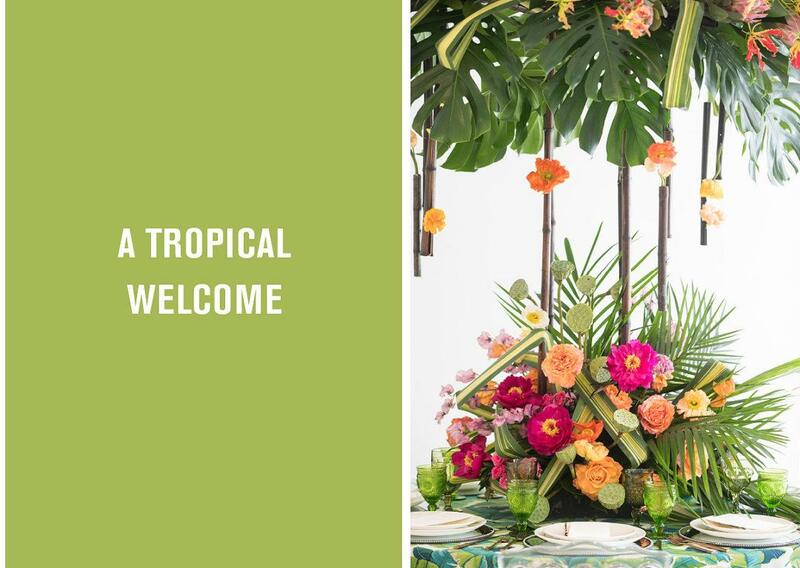 The date is set, everyone booked their flights and you and your beloved family and friends are jetting to your tropical wedding destination – hooray! 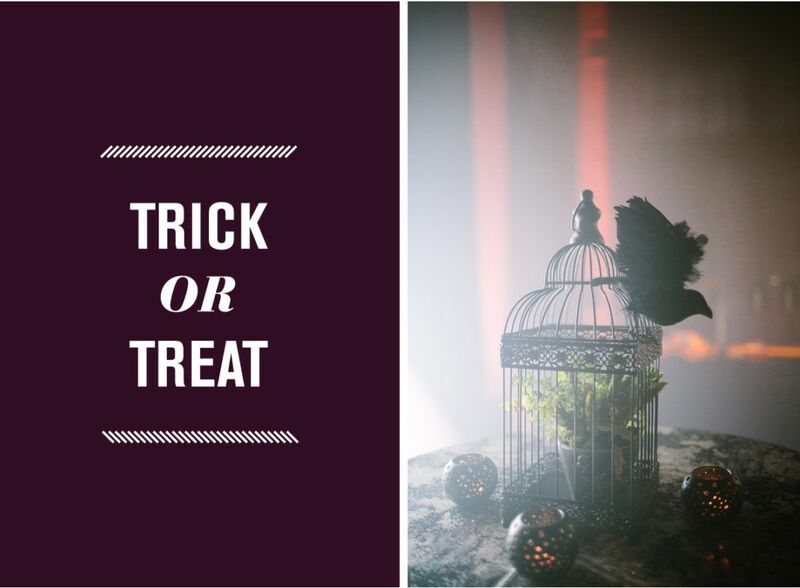 Now that they’ve made the trek to soak up some rays for your big day, how can you give them a big warm welcome to the weekend? 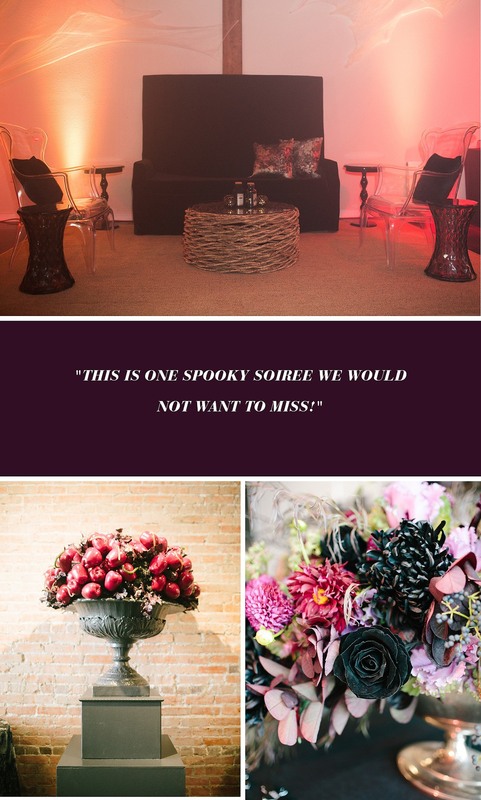 Well, Jordan Payne, the founder of Jordan Payne Events, thinks you should have a special gift waiting to…well, welcome them to your wedding! That’s why she launched The Welcome Bag Committee, a service that can both design and provide beautiful, stylish welcome bags for wedding guests. Her fun new venture has a whole range of designs for whatever your wedding style – and, best of all, they double as beautifully curated gifts for any other occasion you’re celebrating! 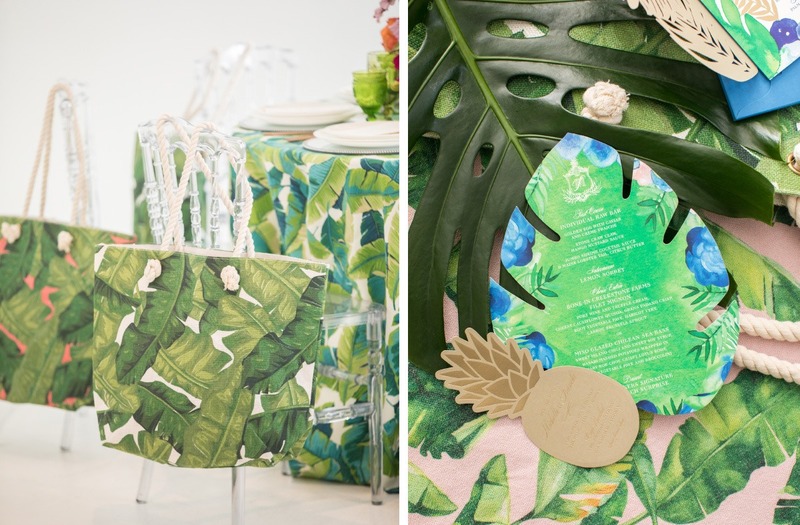 We may be a little biased but we’re head over heels in love with her tropical-leaning pieces, such as the Palm Envy Tote and the Palm Leaf Blush collection. Can you blame us? 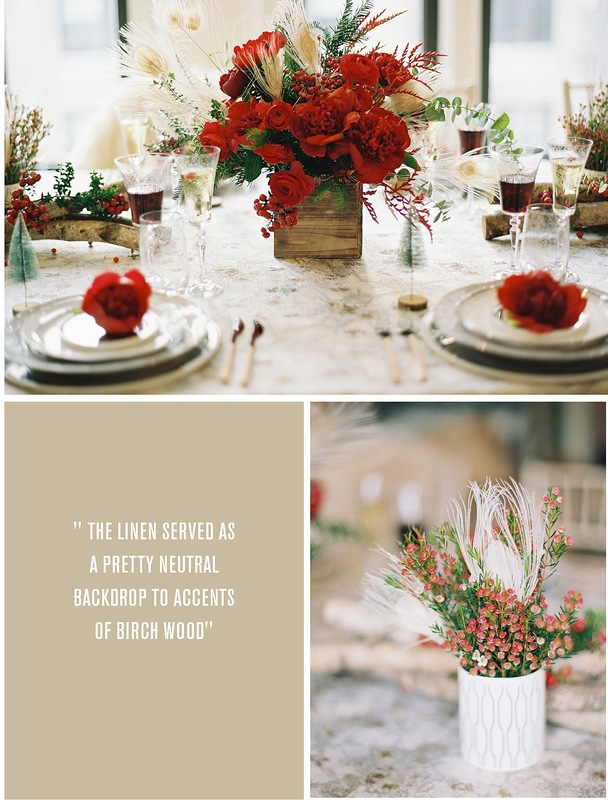 They fall right in line with our Palm Springs linen and our Beverly linen from the Solstice Collection! 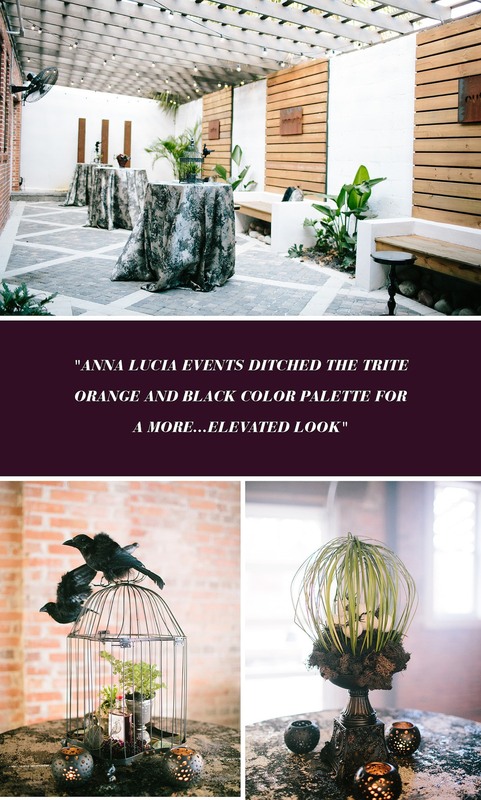 It’s no wonder that we didn’t even hesitate when Jordan dreamed up a styled shoot with pieces from both of our collections, just scroll through to see the magic come together! 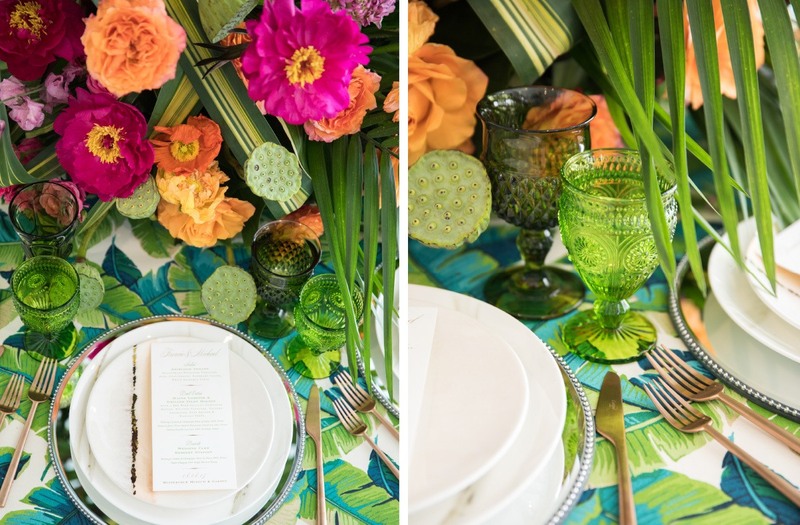 Jordan set the table for this styled shoot with our Palm Springs linen, a bright printed linen from our Solstice Collection that has summer written all over it! This style can go for barefoot casual or be dressed up for oceanside glam, which is just the vibe we’re feeling from this design. 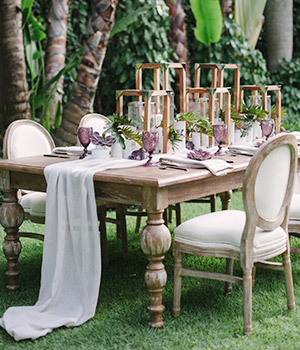 The glassware, in shades of green, is elegant enough for rose or just right for a margarita – whatever your pick! 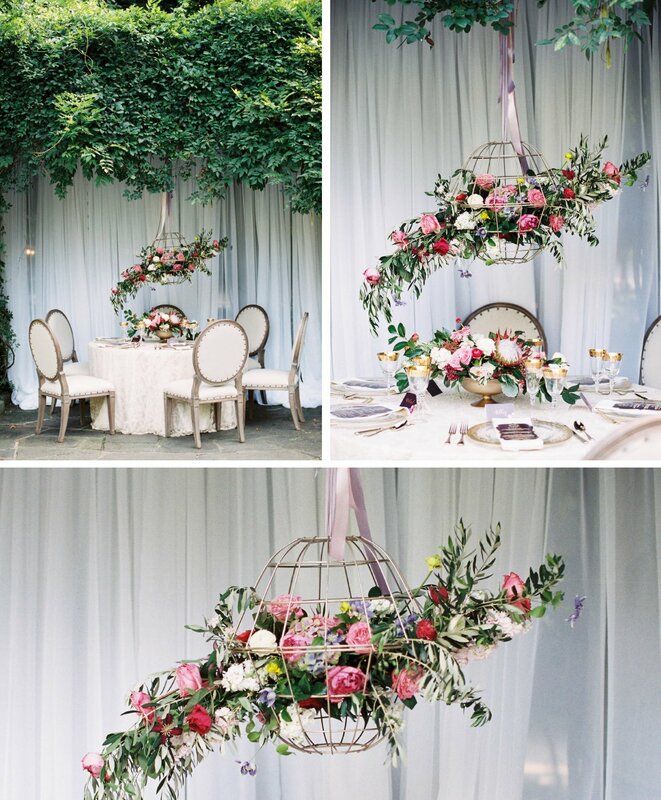 How about the floral arrangement? David Kimmel Flowers blew it out of the ocean on this one! 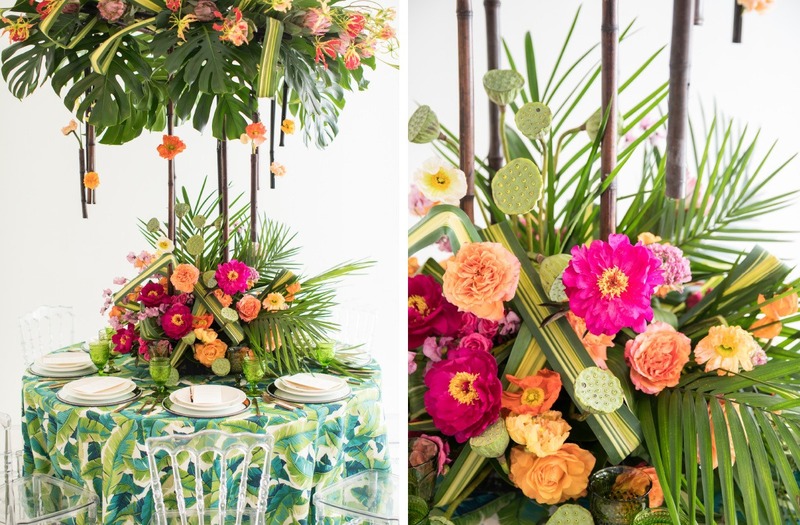 Bright blooms in shades of fuchsia and orange were woven in with palm leaves and succulents for an elevated take on a beachside arrangement. 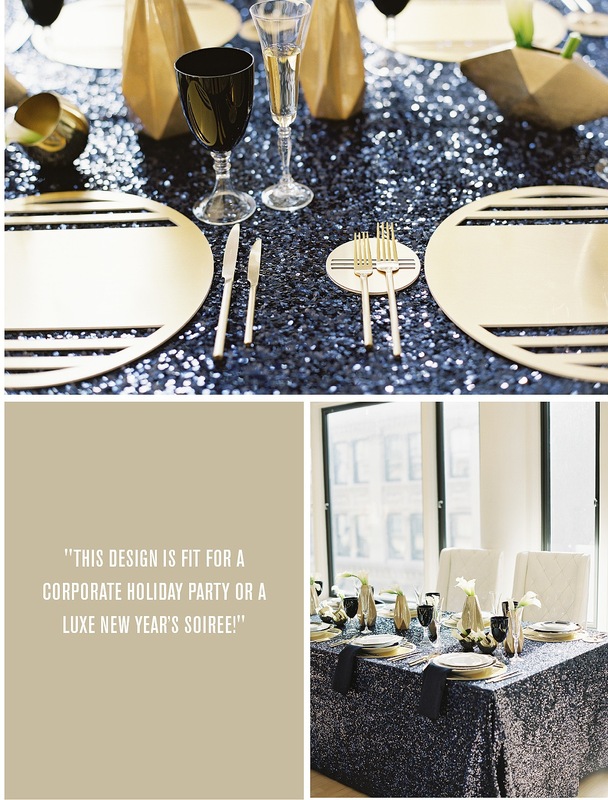 We can’t get enough of the Ceci New York stationery and menu cards! 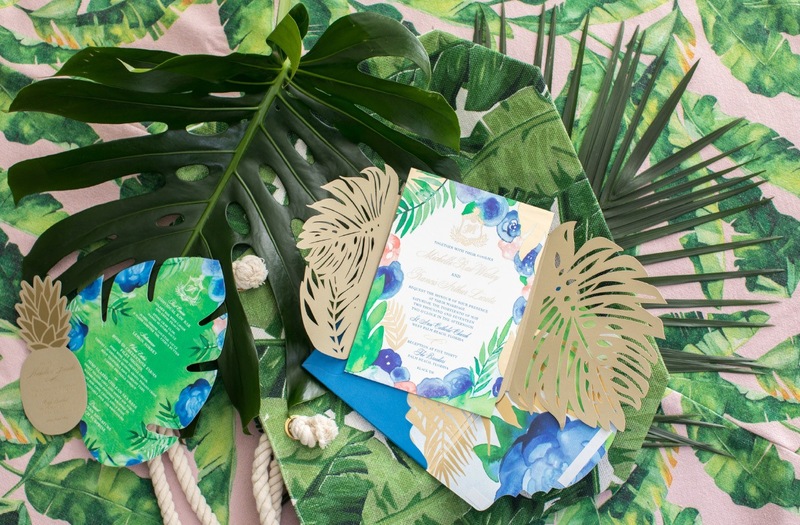 The invitation, with laser cut palm motifs, gold foiling and light wood accents sets the mood for what’s to come on the big day. And the menu card? Cut in the shape of a monstera palm leaf with delicate hand watercoloring, it’s beautiful enough to frame! 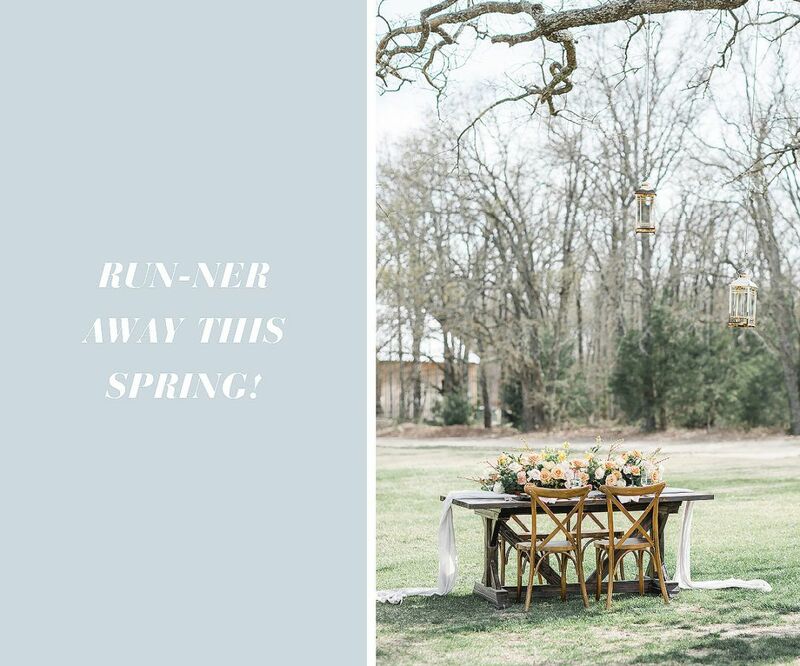 Let’s run away this Spring with our Boho Runner! 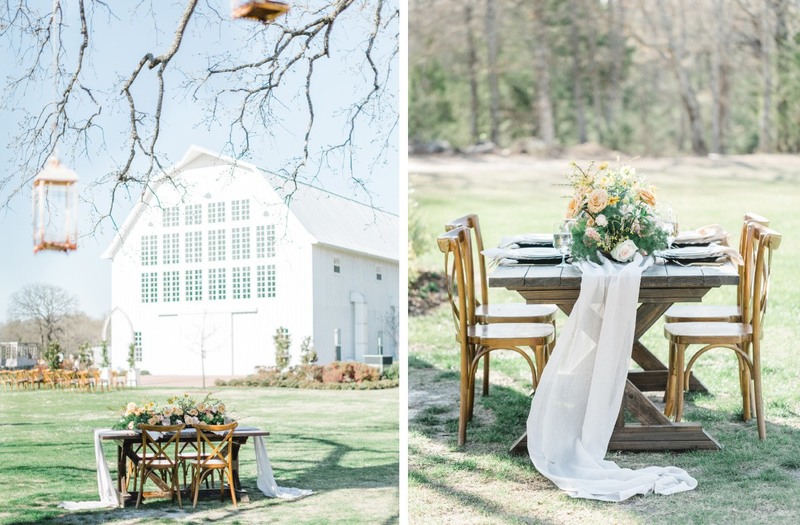 With The White Sparrow in Dallas, Texas setting the backdrop as the perfect location for this barn-inspired wedding, Heather Benge Events brought the spring vibes outside with her styling of the Boho Runner. 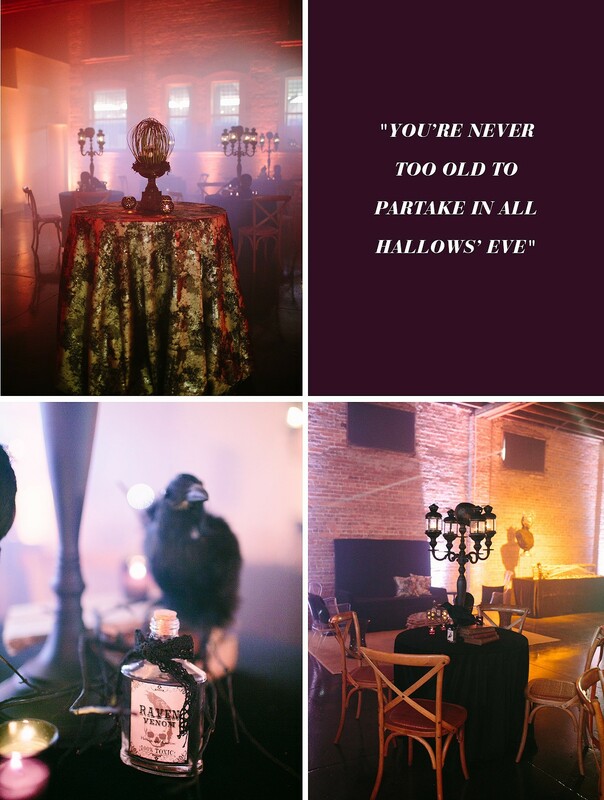 An intimate setting for four was designed around a vintage wooden table from Love Birds Vintage and contrasting wooden cross back chairs. The floral palette, of creamsicle hues in orange and yellow, gave just the right reminder of what’s to come this season. 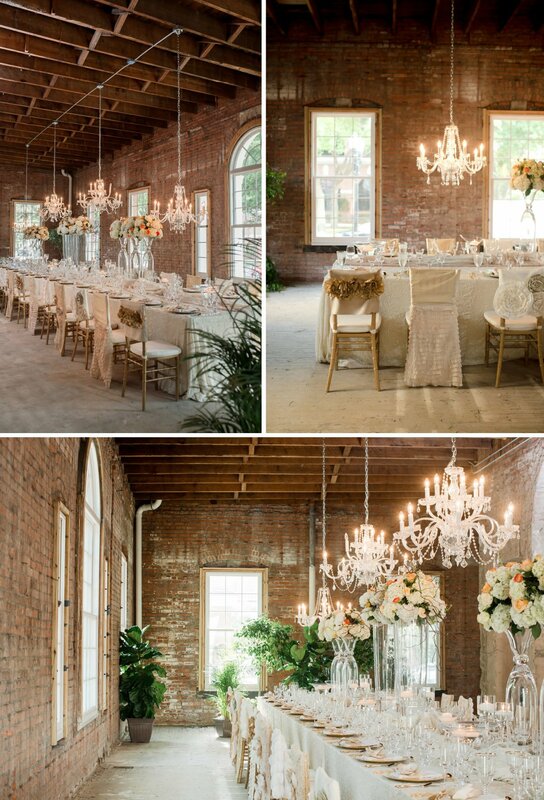 Our favorite touch, really giving a magical feel to the afternoon, were the hanging lanterns. Blooming trees or not, spring is officially here! Now let’s take it back to tropical Miami where the spring breeze is blowing! 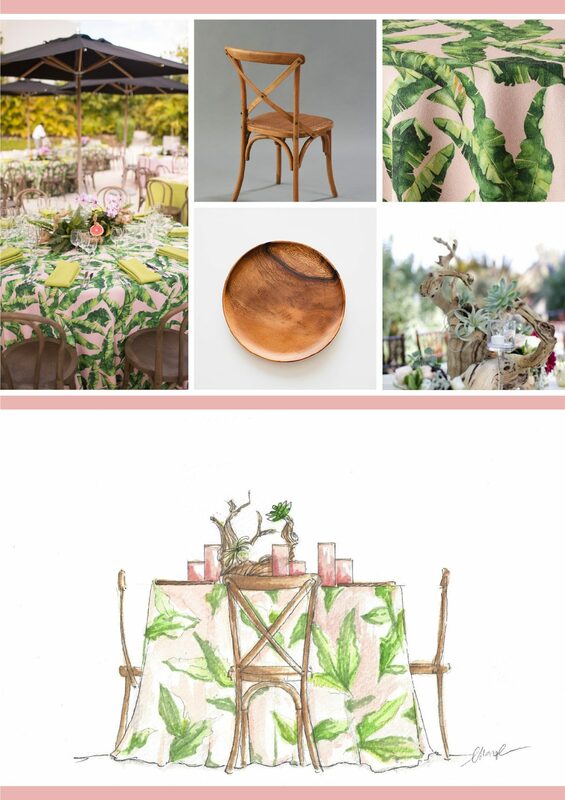 Set against a lush tropical background, this tablescape is an ideal way to dine al fresco, whether a wedding or just a perfect night in. This palette of neutral fabrics, such as our Latte Branches Napkin, with accents of mauve is a beautiful transition from winter to spring. 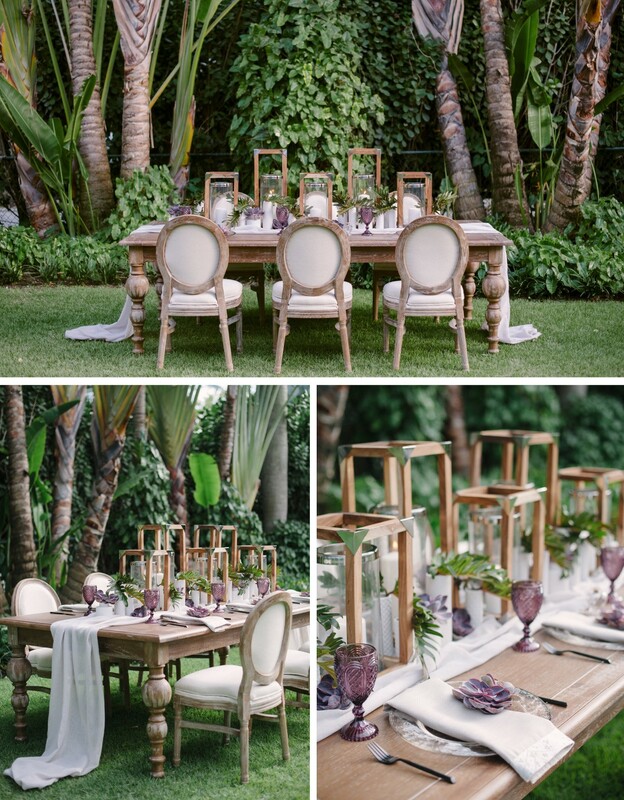 With the use of light wood furniture, including our Maison Dining Table and Maison Dining Chairs, and Petal Production’s geometric table arrangement, this is a dream combination of modern and rustic wedding style! 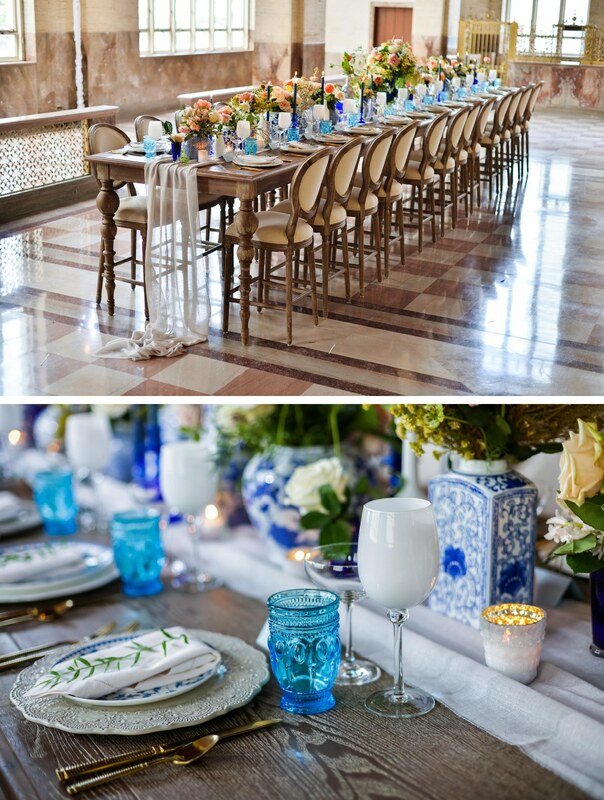 If you’re looking to go a classic spring feel, we’re all about this blue and white Chinoiserie look from Ines Naftali Floral & Event Design. 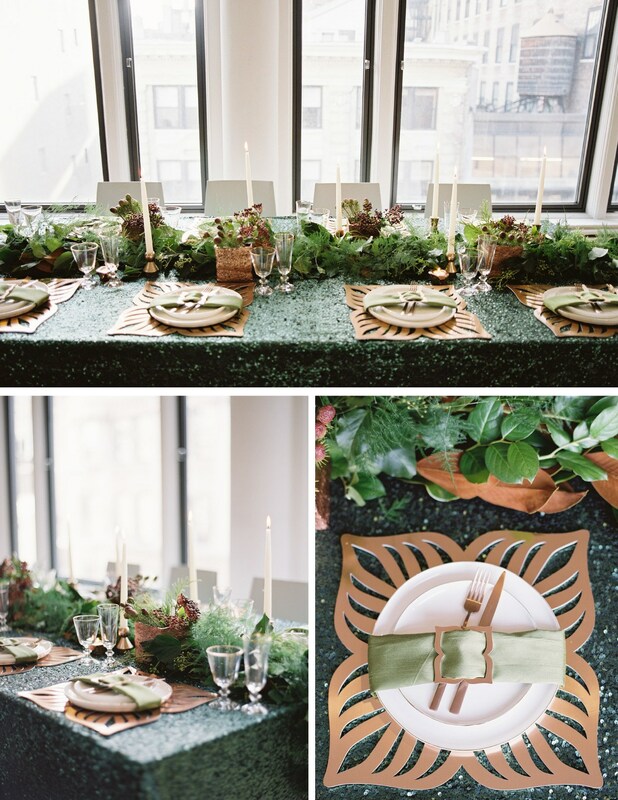 This tablescape brings an elegant look to a casual affair. 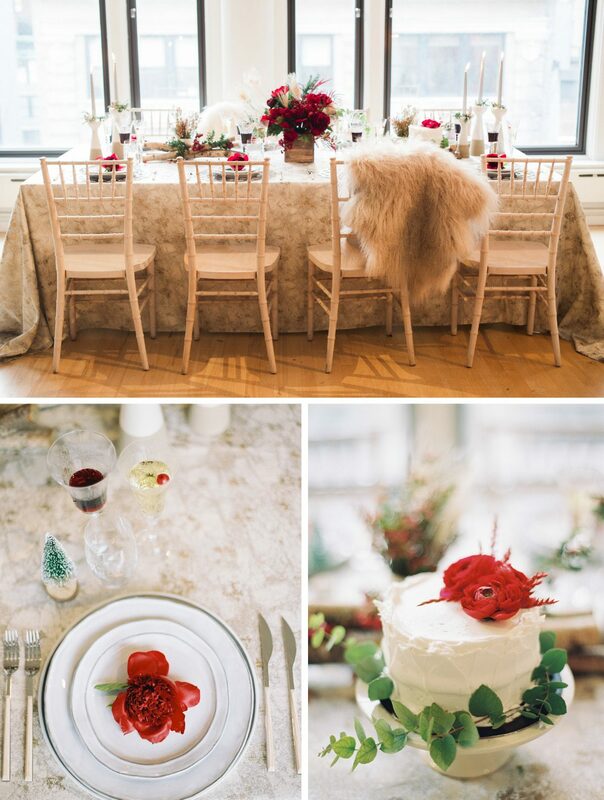 In the Dupont Building, a perfect location for modern Miami weddings, our Maison High Table and Maison Bar Stools, set the space for a laid back cocktail party for twenty-four jovial guests. 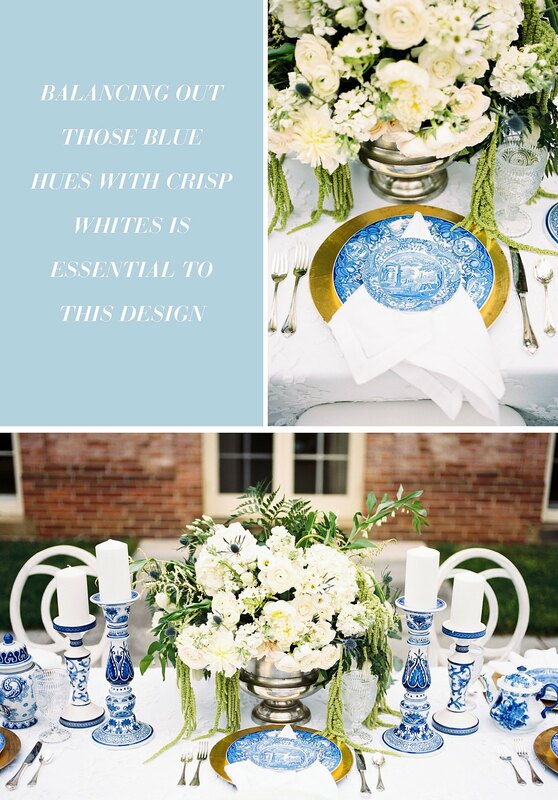 This blue and white palette, a seasonal favorite, looked stunning as it ran the length of the table, bringing in bright colors to the neutral space. 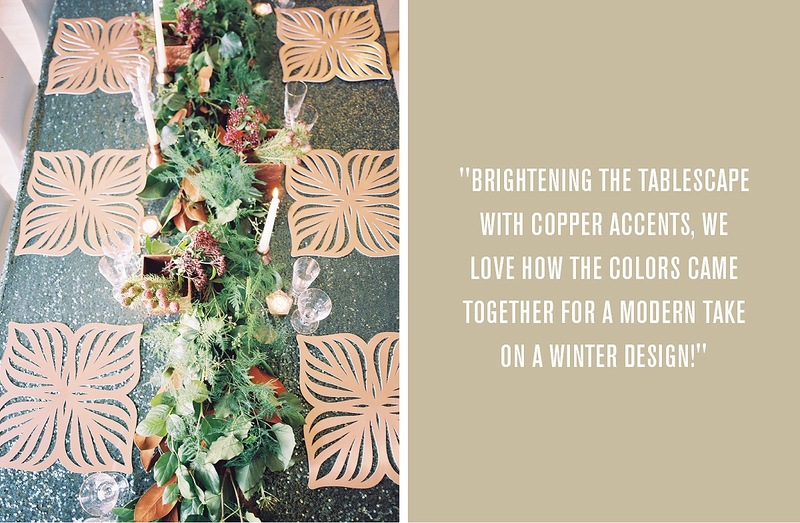 From modern to rustic, the Boho Runner is really making waves. 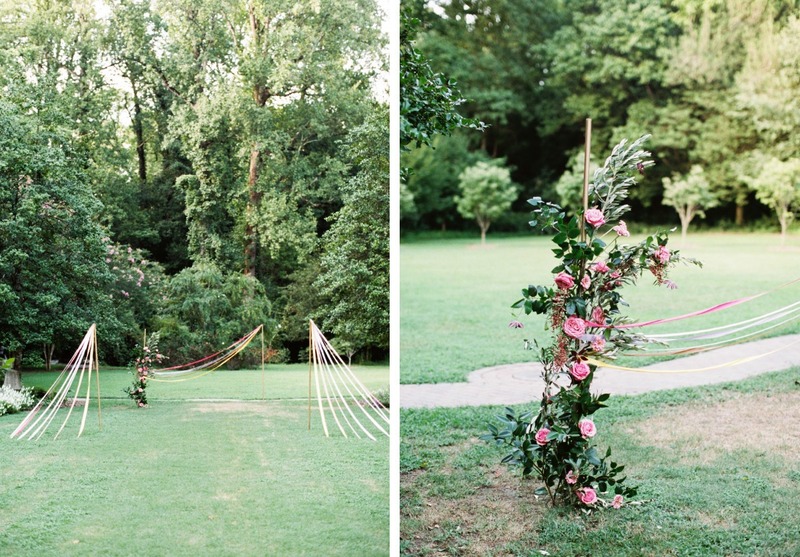 With its light fabric and dreamy draping, it’s just the runner to welcome in the spring! Something old, something new, something borrowed, something blue. It’s these time-old wedding traditions that add so much meaning to each couple’s story. 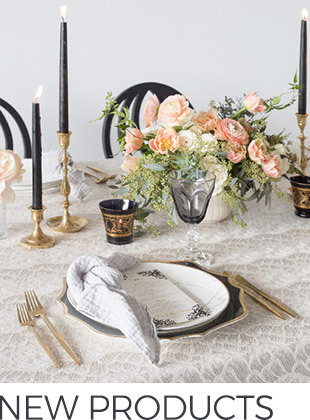 There’s a unique kind of beauty we find in the design of a classically styled wedding, and a true happiness at the touch of a crisp hemstitch napkin! 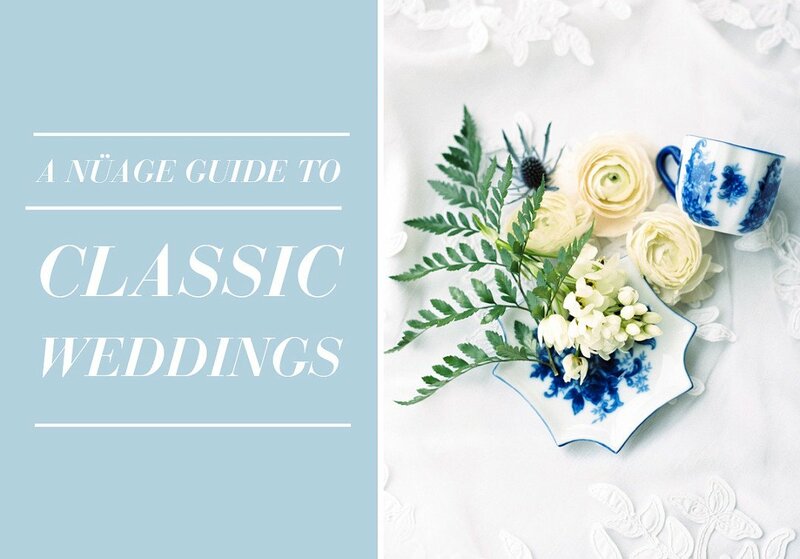 But there’s so much more that gives classic weddings a special place in our hearts. 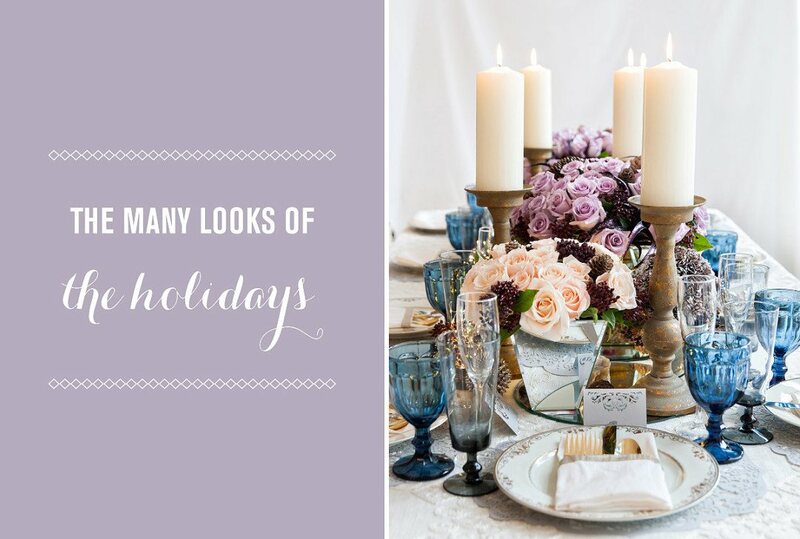 Read on about our key elements for nailing that perfect wedding look! First things first, set the tone. 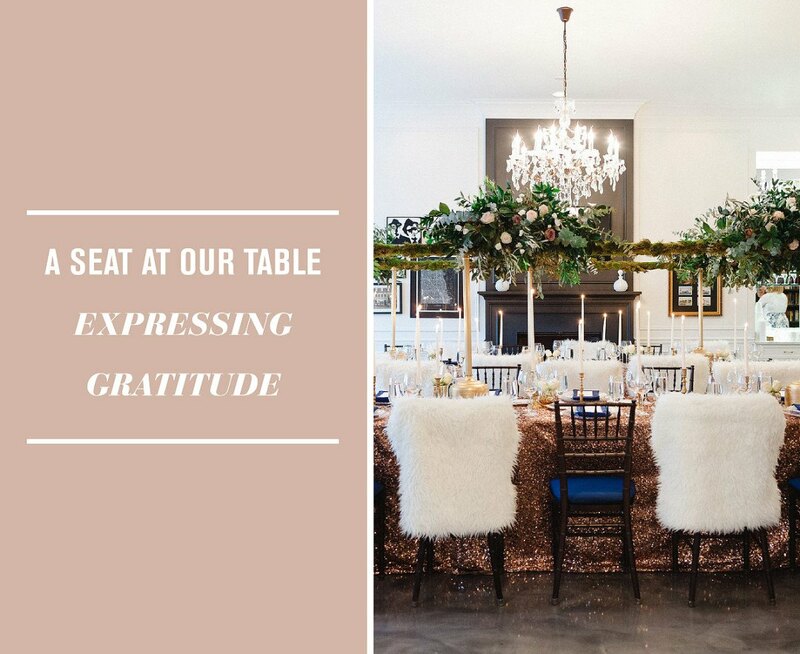 The invitation suite is the first peek your friends and family get into your wedding and it can set the mood for your upcoming nuptials. 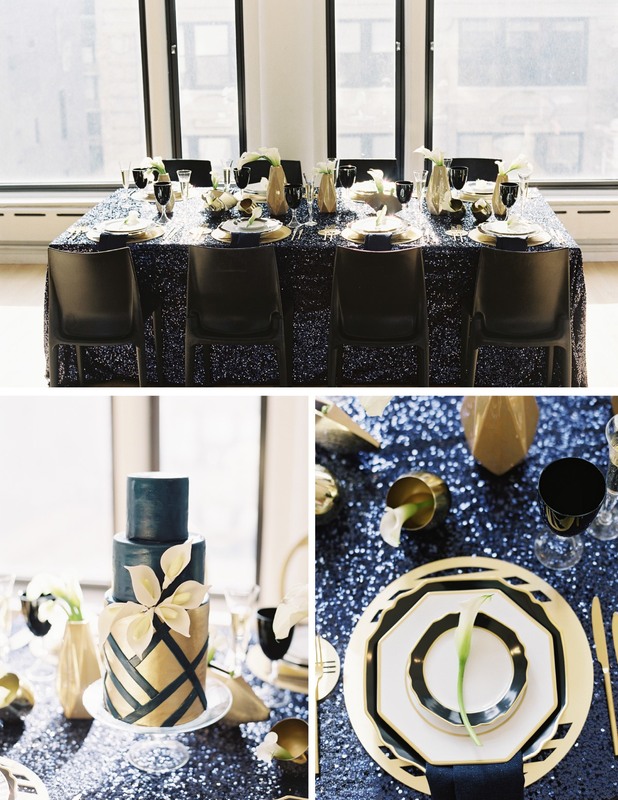 In true traditional fashion, we love using shades of navy and deep royal blue, bright whites, light cream tones and metallic foil detailing. As for your choice of type, combining script calligraphy styles with serif fonts makes your invitations both beautiful and functional. 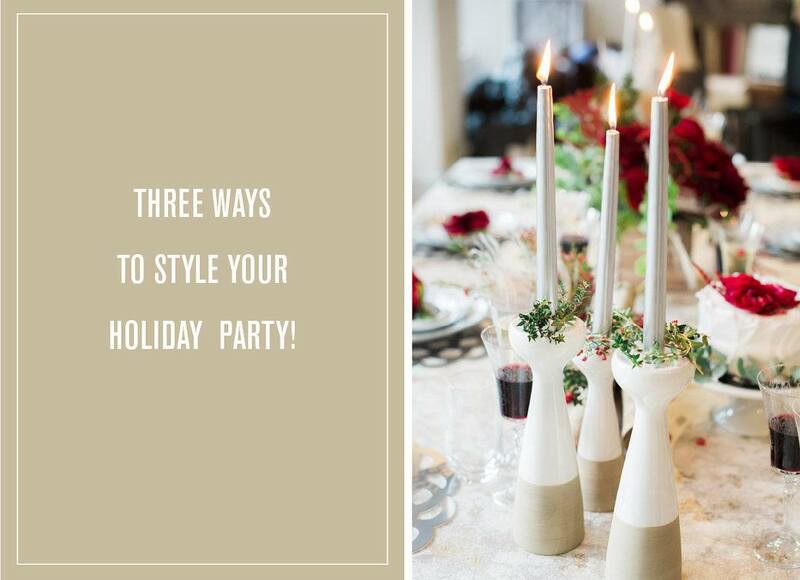 Whether you opt to add in some ornate patterns or monograms, make it totally yours. We also love a custom wax seal, that’s one small detail that never loses it’s appeal! 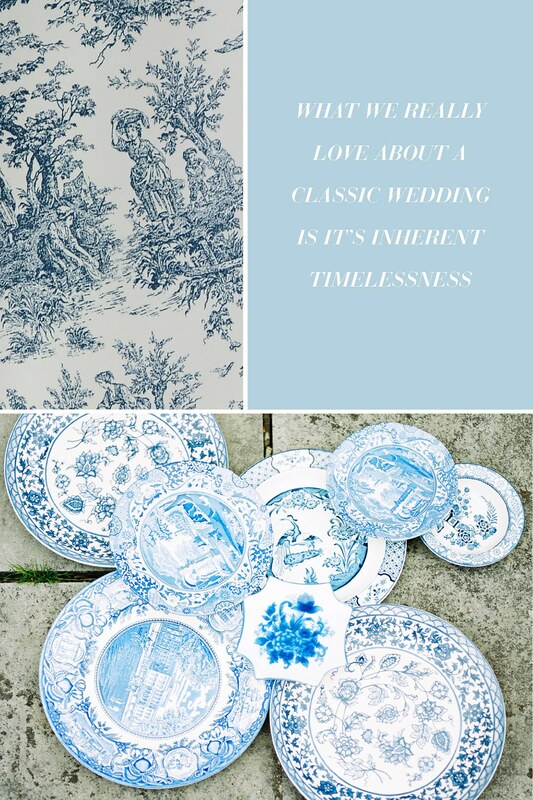 What we really love about a classic wedding is it’s inherent timelessness. 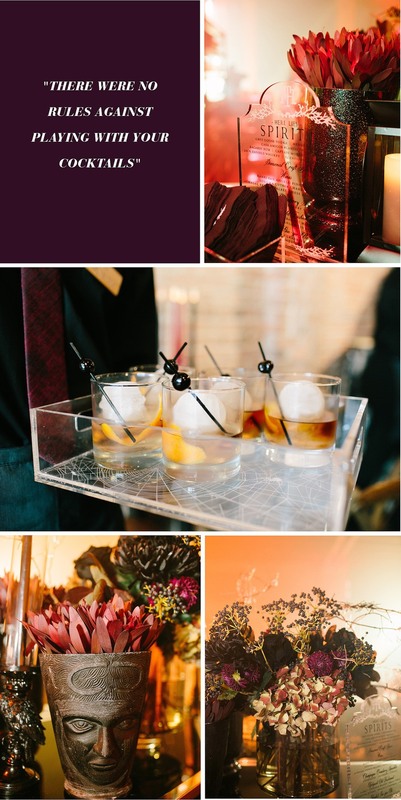 Tending towards simple designs and time-tested color palettes, they come together as impossibly elegant and refined events. 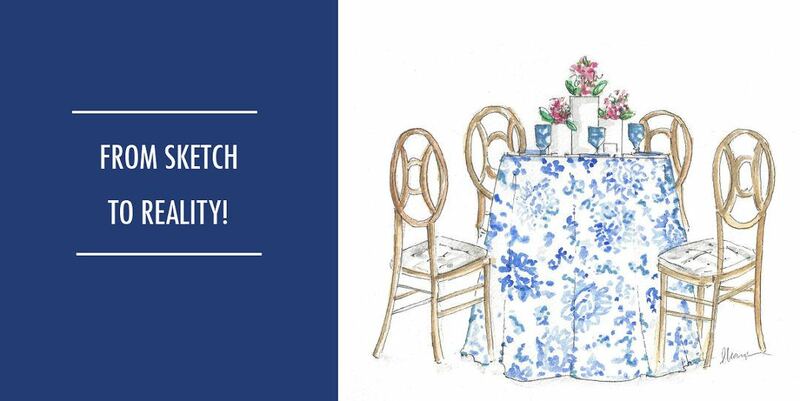 Of course, there is the traditional blue and white color palette. As much as we want to try something different, this is really the one that sticks. You can opt to go with darker hues of navy or bright shades of royal, both will be just perfect. 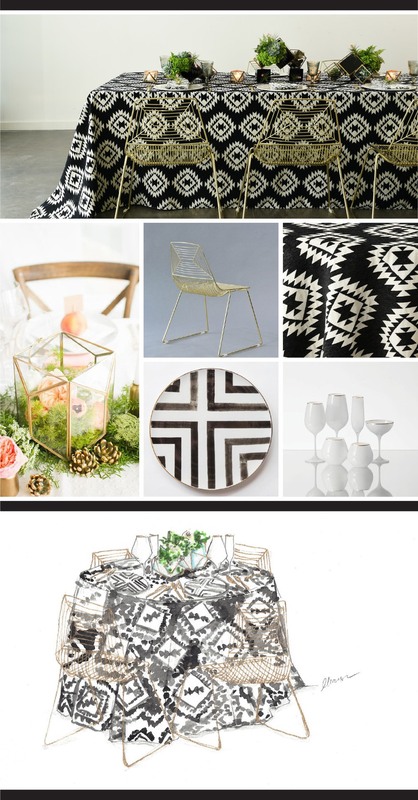 There’s a couple of patterns that we love here too. 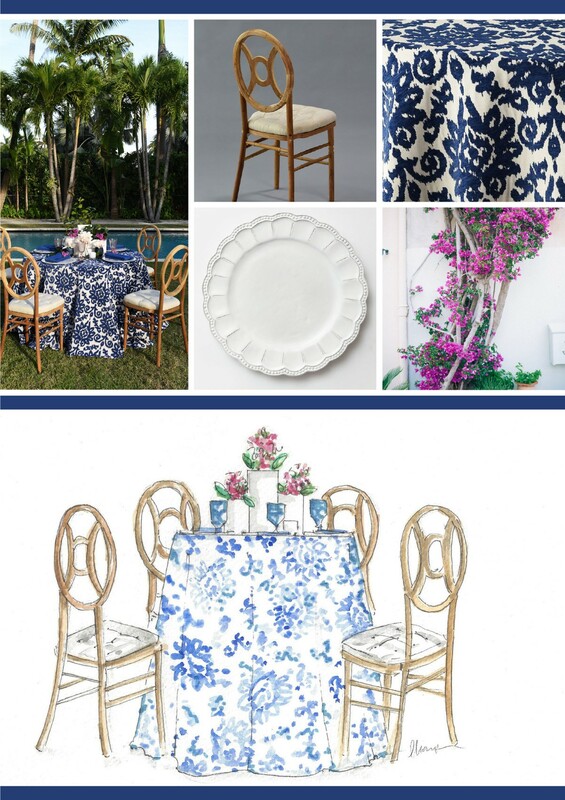 You can add in awning stripes, french toile, or a chinoiserie print in your textiles or on the tabletop for nice detail. Balancing out those blue hues with crisp whites is essential to this design. We like giving the day a bright base to work from. 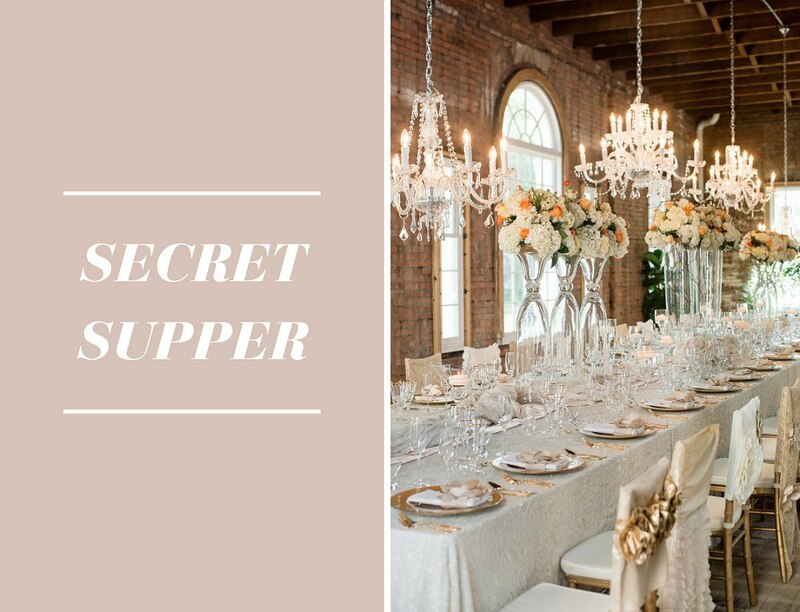 Consider combining white linen tablecloths with soft embroidered overlays on your tables and tying the look together with crisp hemstitch napkins for an elegant effect. Bring in minimal white chairs, like this infinity chair, for seating that is both lovely and comfortable. 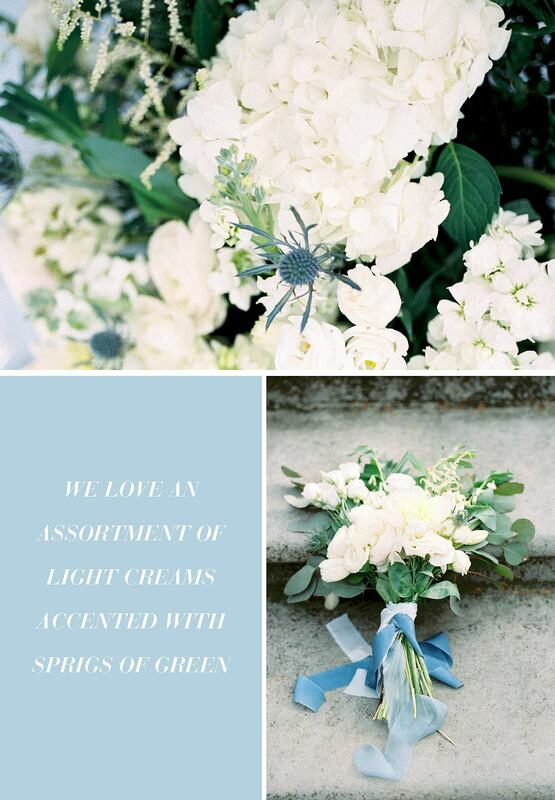 When it comes to flowers, we love an assortment of light creams accented with sprigs of green. 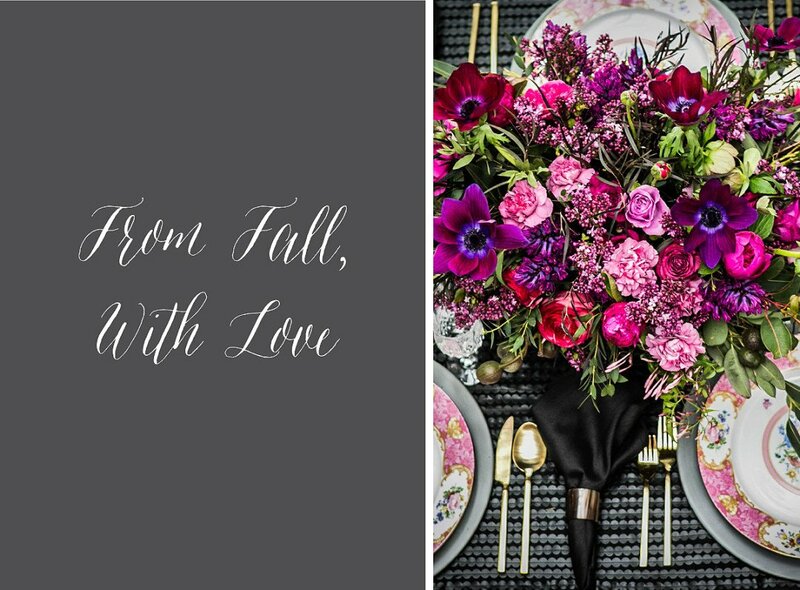 Ranunculus and hydrangeas are big blooms that add a nice volume to any arrangement. Add in white anemones, some sweet baby’s breath and green amaranth to break up the design and add a dimension of color. Choose a location with some history and add a piece of your own to it. With so many different options across the states, there’s a place that will speak uniquely to you. 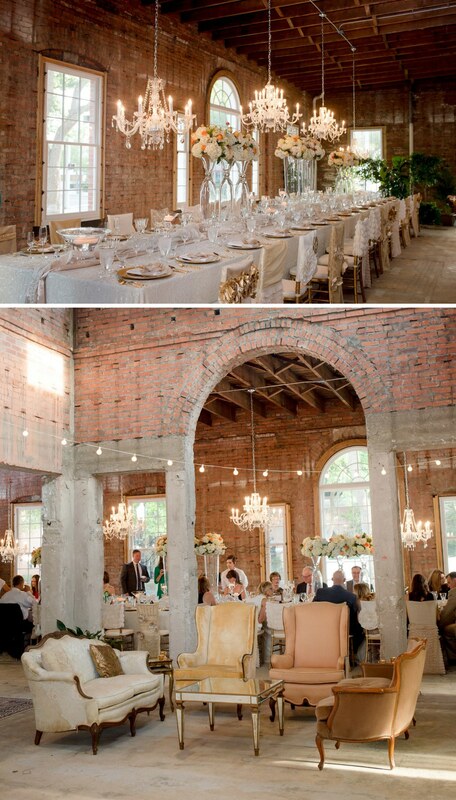 We love the idea of planning wedding events across different spaces of a unique location. That could mean cocktails inside a once residential turned museum mansion, or a tented reception on perfectly manicured historic gardens. 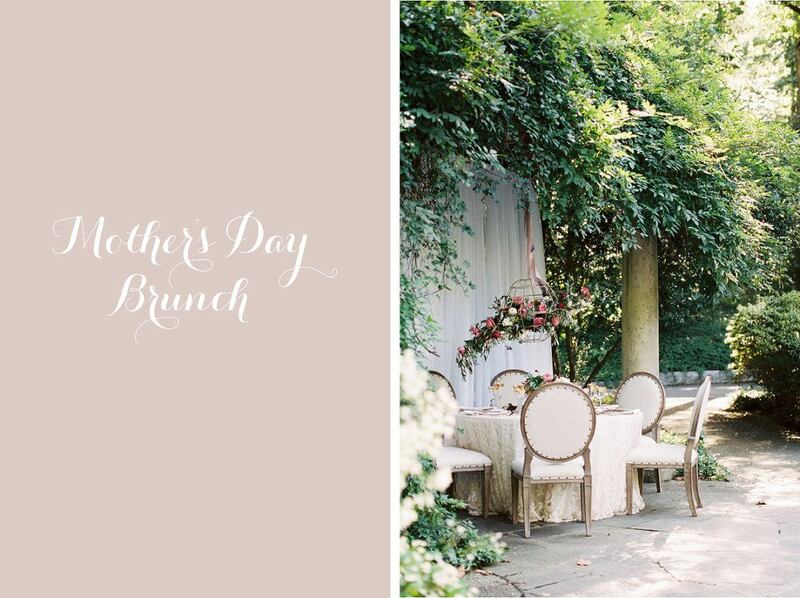 Knowing that you’re adding a piece of your family to the story of the venue adds a level of intimacy to the day. 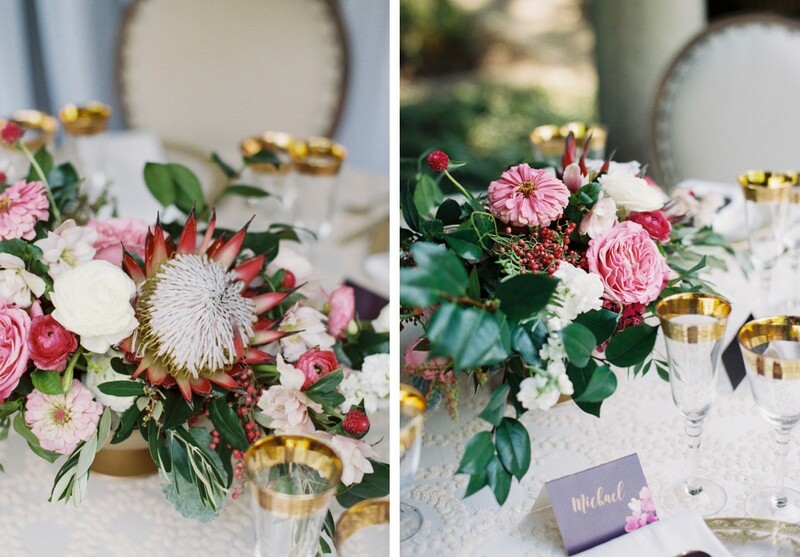 Adding details that speak to you and your love story will be the touch that resonates with your family and friends. 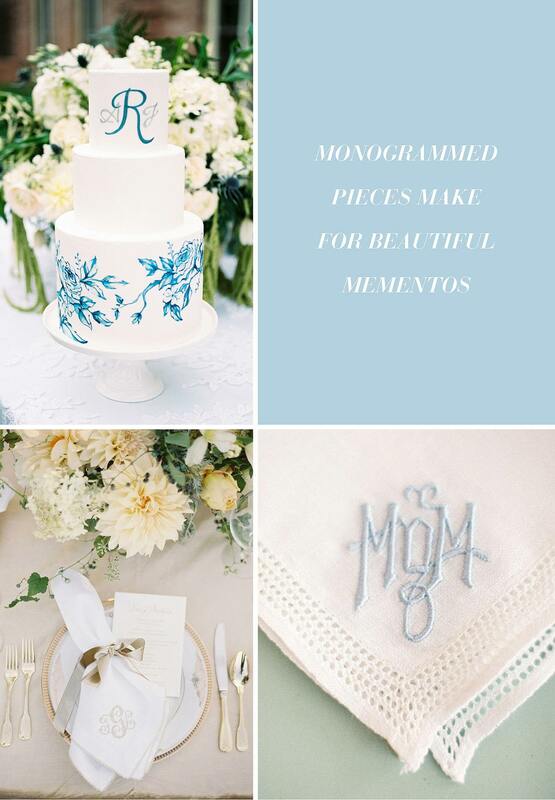 In true tradition, monogrammed pieces make for beautiful mementos. Consider monogramming your napkins for cocktails or dinner, or adding a monogram to your cake design. 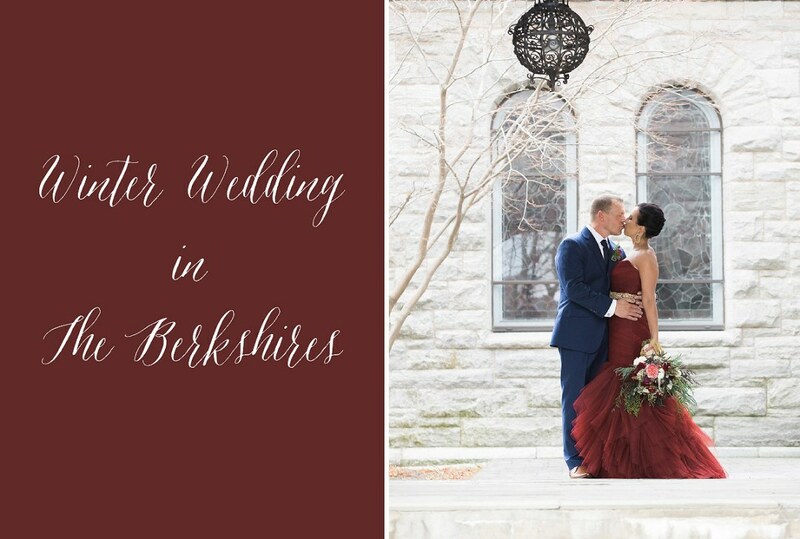 We also love when couples add in pieces that are special to them and their family. Whether that means wearing an heirloom piece of jewelry, vintage cufflinks or using your grandmother’s china, imbue your day with the things that are precious reminders of your life story.